Enjoy this short video guide to help you navigate your way to Weissman's East Cobb office. Take exit #24 for Riverside Dr. Exiting from 285 E, at the traffic circle, take the 3rd exit onto Riverside Dr.
At the next traffic circle take the first exit to stay on Riverside Dr. Turn right onto Johnson Ferry Rd. 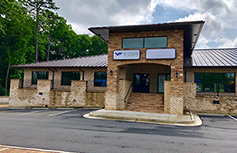 Welcome to Weissman’s East Cobb office. Click below to enjoy an interactive virtual tour of the office.